Everyone has to cycle through a rain shower. 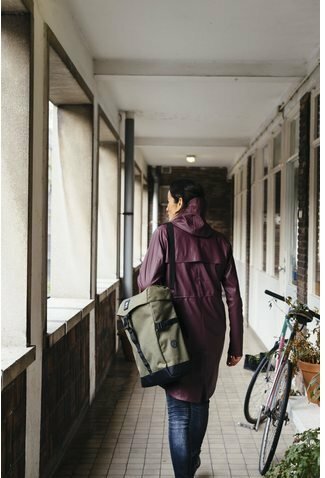 That is why it is certainly useful to have a water-repellent bicycle bag . 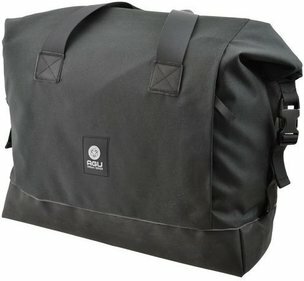 This single bicycle bag from AGU is water repellent by the Durable Water Repellent coating. 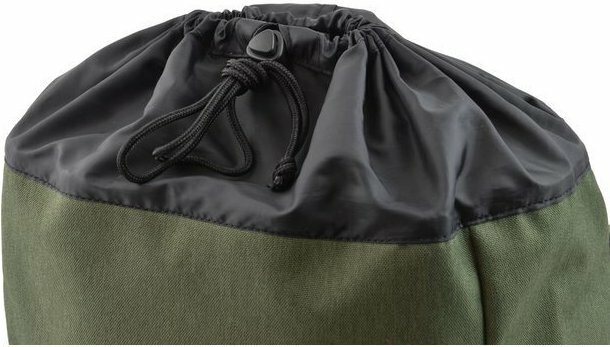 So you do not have to worry about getting your things wet in the bag. 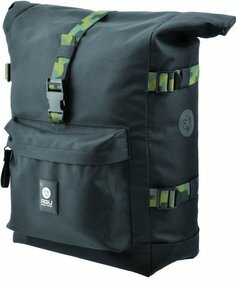 The bag is made of recycled polyester and is lightweight. 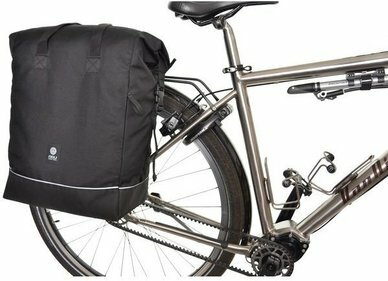 The bicycle bag has reflectors so you can safely ride in the dark. With the KLICKfix system you can easily and quickly get your bike bag confirm to your rear carrier. 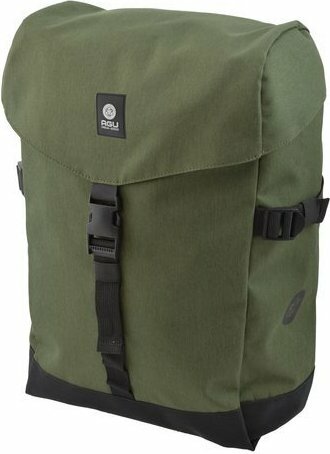 Because of the shoulder strap, you can use the bag as shoulder bag . 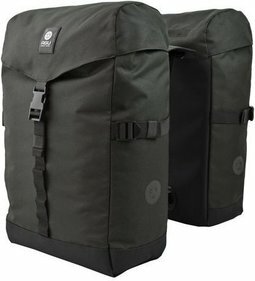 Ideal if you prefer not to ride a heavy bag on your shoulders. 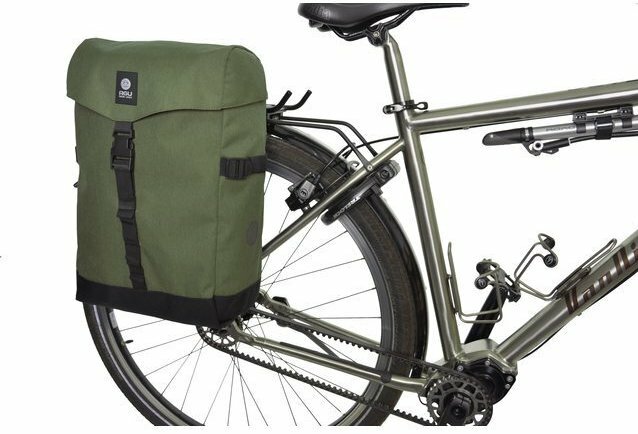 Because of the compression straps on the front, right and left sides you can make your bag for the bike smaller to your liking. 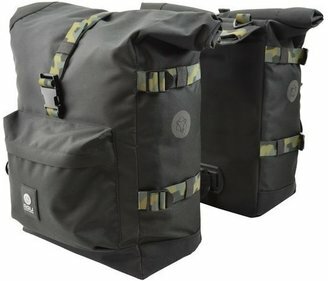 The inside pocket of the bag is closed with a strong one YKK zipper so that if your belongings are safely stowed away. 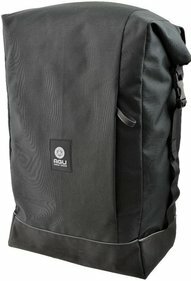 Write a review By sharing your experience with the AGU Urban Essentials DWR single bicycle bag, you can help others (perhaps still doubting customers) with making a good choice.